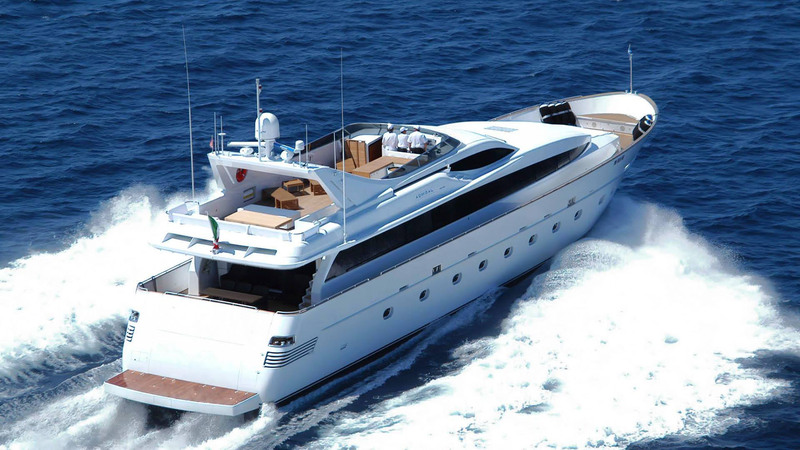 Luxury motor yacht TROPICANA was launched in 2004 by Admiral Yachts and measures 32m (105ft). Crewed charter yacht TROPICANA underwent a refit in 2013 and she is available for deluxe private yacht charters in the East Mediterranean. 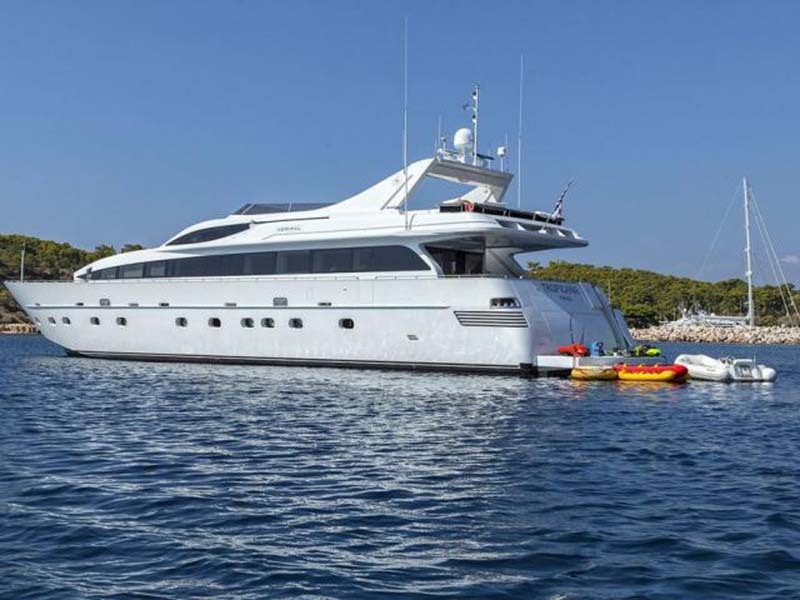 M/Y TROPICANA offers accommodation for up to 10 charter guests in 5 cabins, the perfect yacht for large groups and families alike. 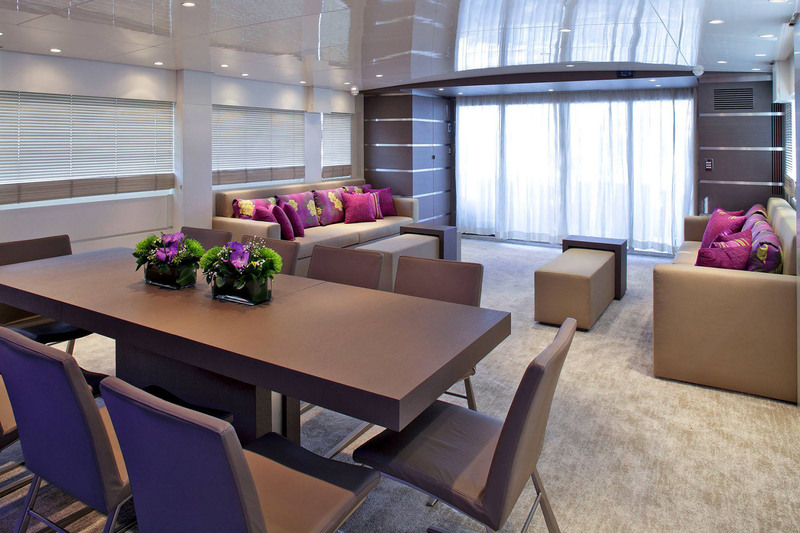 Motor yacht TROPICANA boasts ample interior and exterior living areas. The interior is bright and airy, featuring plenty of natural light, crisp white finishes and soothing woods throughout. 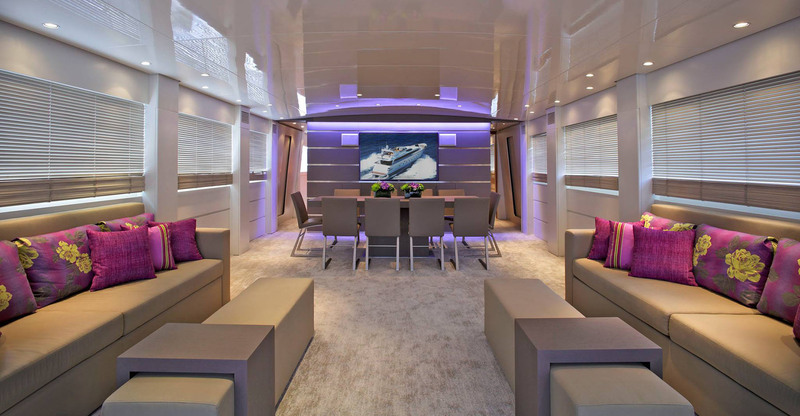 The salon is open plan and inviting, boasting great views from the port and starboard windows. 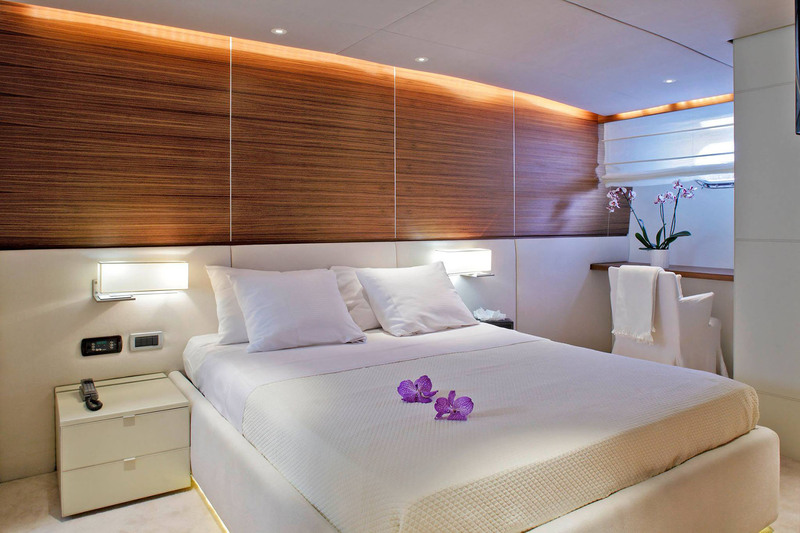 Further forward, the master stateroom is full beam of the yacht, with a king size bed and large en-suite facilities. Below decks, a VIP cabin, double cabin and 2 twin cabins, easily accommodate 8 more guests, all with private en-suite facilities. 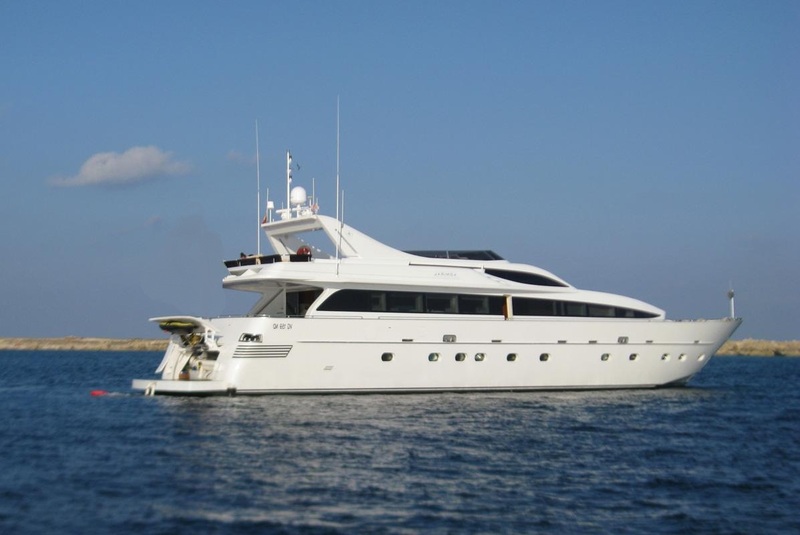 Yacht TROPICANA offers accommodation for 10 charter guests, in 5 en-suite cabins. 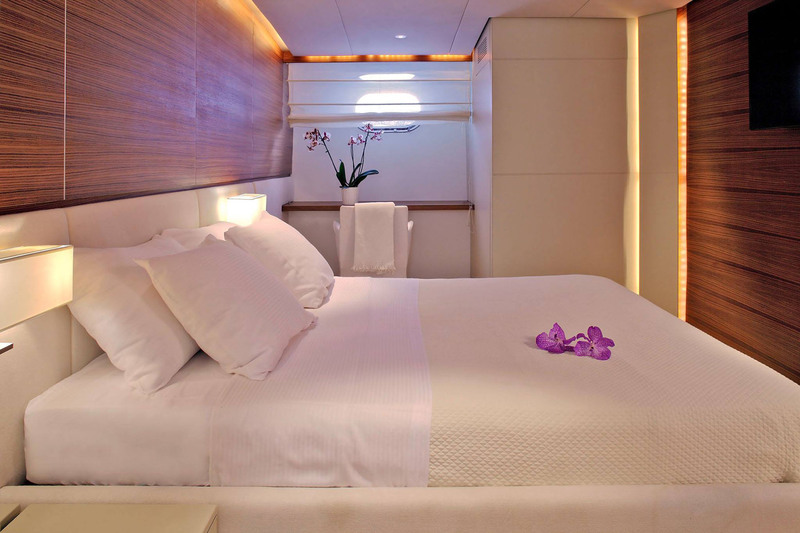 The master stateroom is on the main deck forward and enjoys a full beam layout and king size bed. Below decks, a VIP cabin boasts a queen size bed, a guest cabin offers a double bed and 2 twin cabins have side by side twin beds. Each cabin is finished to a high standard and has a serene minimalistic ambiance. 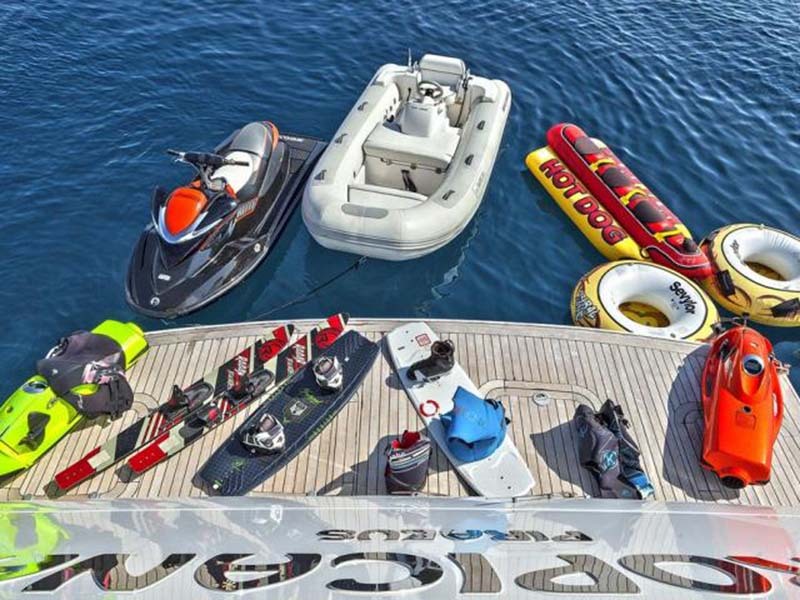 TROPICANA has the following Tenders & Toys: 3.5m Williams Idrojet 70hp, Jet Ski Yamaha 1800cc - 3 seater, 2 Tubes, Banana for 4 persons, 2 underwater Seabobs (Jaguar), 3 Wakeboards, 2 Kneeboards, Water Skis for adults and children, Diving Equipment, Snorkeling & Fishing Equipment, Communications: Wi-Fi Internet, NERA Sat Comms, SSB Radiotel FS 2570 250 N, VHF FURUNO FM 8500, RAYMARINE 430 Intercom, Audio Visual Equipment and Deck Facilities: KALEIDASCAPE Entertainment Server, CRESTRON Operating System, SEATEL Satellite Decoder, Plasma TVs/DVDs in all cabins and saloon, i-pod dock in all cabins, saloon & flybridge, Yamaha Music System in Saloon, all cabins, Flybridge and Cockpit, Playstation, Karaoke system.